The General Tools and Instruments 846 EZ Pro Jointer Clamp Kit is a great alternative to expensive jointers. 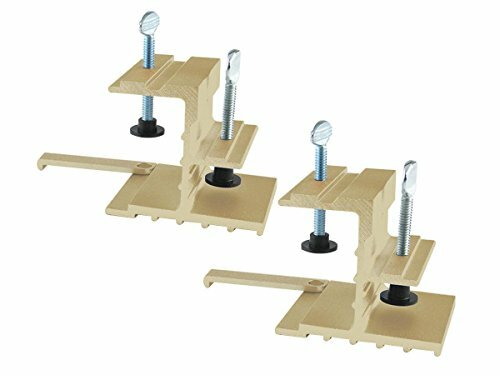 Generals E-Z Jointer Clamp Kit features an extendable swing arm, allowing you to accurately rip wide boards with ease. You can straight line rip crooked boards using your table saw; Just attach your crooked board to a piece of straight stock using the Jointer Clamps and run the stock along the rip fence to rip the crooked board. The Jointer Clamp works in two easy passes and is great for use any length stock up to 2 inches thick; The guide board can be made from any straight edged scrap. Get a dead-flat edge everytime, with no extra waste; Instructions included.